Much like Ken Watanabe’s character in The Last Samurai spent his whole life seeking the perfect cherry blossom I too have spent my life searching for the perfect mech game. Unlike Watanabe I doubt I’ll have a deathbed revelation about how they’re all perfect because let’s face it, some games are just not as perfect as others, but I will have a fun time hunting them down and discovering new, quality titles. 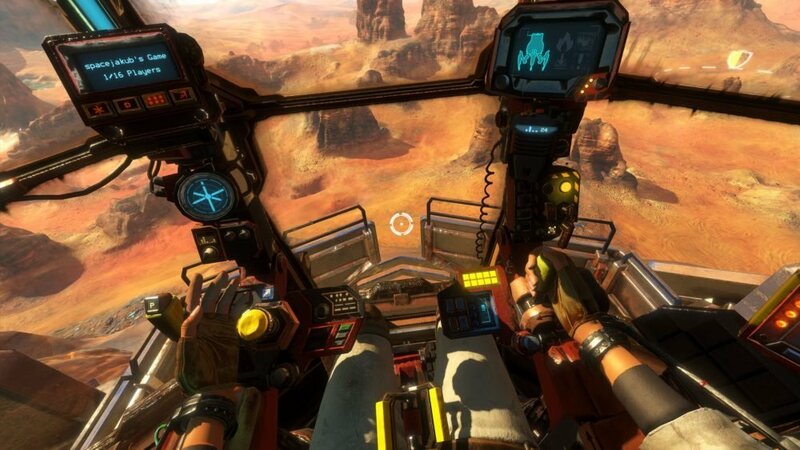 If my hands-on with the Oculus Rift version of Vox Machinae is any indication of the game’s overall experience it should fall squarely in the enjoyable category. 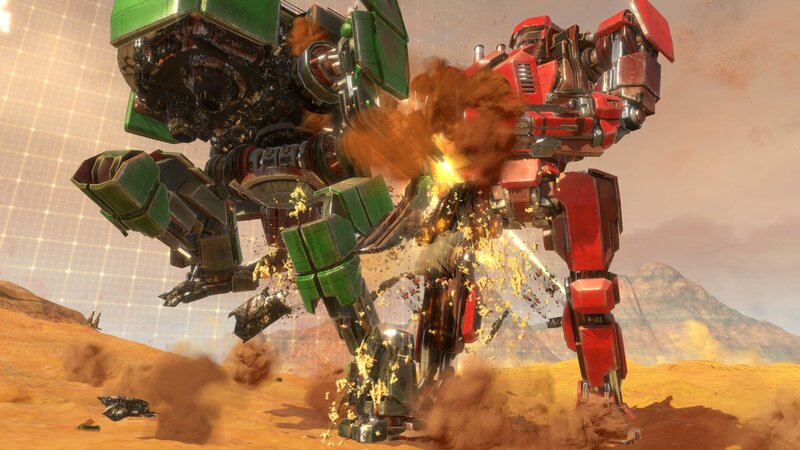 It’s a simple concept, players pilot their giant mechs in some traditional deathmatch modes like your standard kill or be killed matches or your conquer and defend bases on the map variation. Players use their head to aim at their targets and layout barrages of missiles or blast away enemy mech parts with a highly concentrated laser beam. There’s even a rocket boost to take combat vertical or get to higher ground. 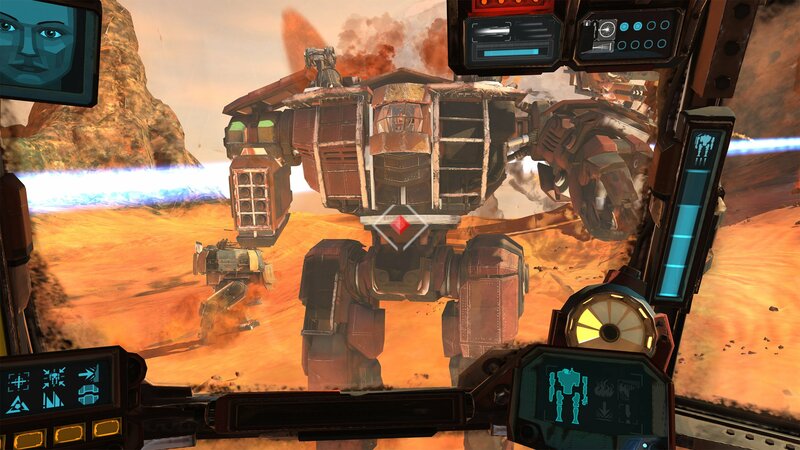 One of the great things about Vox Machinae’s mechs is they all sort of function like a big rig. They have a gear shifter with four speeds, park, and two reverse speeds, a walkie-talkie that has to be used to communicate with teammates, and there’s even a horn you can pull. The fact that almost all movement occurs using an onscreen function and head movement is just for aiming really does a lot for the immersion factor. I personally find myself getting signals crossed when it comes to FPS VR experiences as I’m usually too stuck in my traditional analog stick head movements to get motion just right. Having everything laid out on screen for me left little to chance and gave me a certain focus. Another really nice feature of Vox Machinae is that non-VR players will be able to play a flat-screen version of the game along with their VR friends, making this one of the few cross-VR titles available at the moment. This means an even larger audience can get in on the giant mech action as well, and the more mechs there are, the merrier. Vox Machinae is available now for Oculus Rift as well as on the Steam store for standard PC players. Ohhhhh. That actually looks pretty good and the reviews so far are glowing. Imma give it a shot tonight.